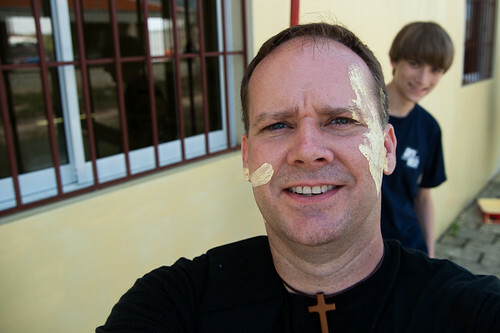 Day two in the Dominican Republic we started our day painting a church. While having lunch onsite I noticed this boy practicing with his slingshot. I really wanted to shoot the slingshot with him but shortly after this photo we had to leave to our next adventure of the day. Also while painting the church my family group decided to paint me.